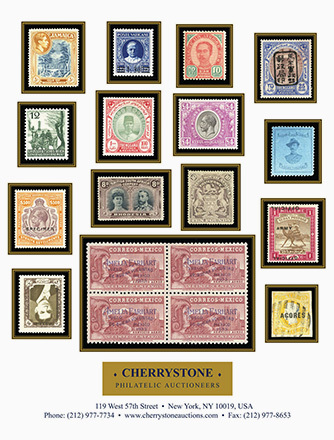 Cherrystone is one of the world’s leading auctioneers of rare stamps and philatelic material. 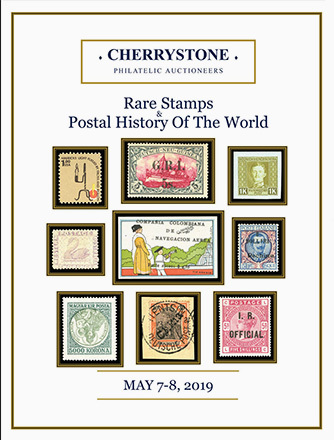 Cherrystone also maintains an online stamp store with the expertise and backing of one of the world’s leading Philatelic Auction Houses. Click the button below to begin browsing our stock. For more than 50 years we have been providing buyers and sellers with the widest selection of valuable philatelic material. 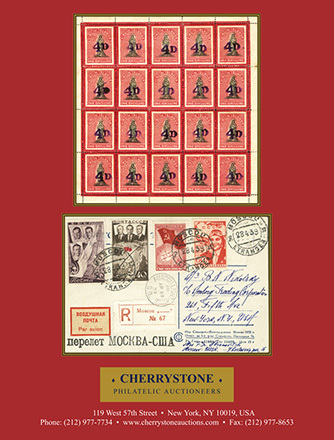 Our frequently held public auctions offer rare stamps and postal history of the World, including United States, British Commonwealth, Germany and Colonies, France and Colonies, Russia, Poland, Asia, South America and more. Located in New York City, our staff of philatelists are among the most knowledgeable in the industry and all items sold are guaranteed to be authentic and as described. 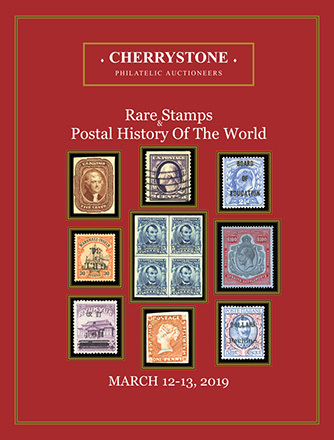 Cherrystone is a member of all leading philatelic organizations including the American Stamp Dealers’ Association, American Philatelic Society, Philatelic Traders Society, APHV, The Collectors Club of NY, AIEP, ROSSICA, MEPSI and more.